Like every Christian parent, I want my children to read the Bible. However, although I’ve found numerous Bible reading plans for adults, I couldn’t find what I wanted for my kids. Some plans were way too ambitious and time-consuming; others just had random verses from here, there, and everywhere. Some had too much interactivity; others had too little. Some had one verse of Bible and one page of commentary! I wanted my children to have a Bible reading plan that would be simple, systematic, interactive, do-able, and full of Bible. So…I wrote one myself. And when I shared the handouts on social media a couple of years ago, I was taken aback by how many families used and appreciated them. Many asked for a book version, and I’m delighted to say that the first five volumes are now available on Amazon. Each book has about 100 days of Bible reading, each day has a brief question, and each week has an area for prayer points. Here are some sample pages from Genesis and from Matthew to help you judge whether this would be suitable for your children. They work with every version of the Bible, and I’ve used them successfully with with ages 7-14. It shouldn’t require more than five minutes a day, but, over a few years, your children will read and interact with much of the Bible. And they will end up not only with a memorable collection of Bible workbooks, but also a blessed habit of daily, systematic, interactive, and prayerful Bible reading. I hope you will also talk to your children about the books. Why not have a weekly discussion about the readings and answers, and use the opportunity to not only keep them accountable but to develop another holy habit, that of freely discussing the Word of God with one another. 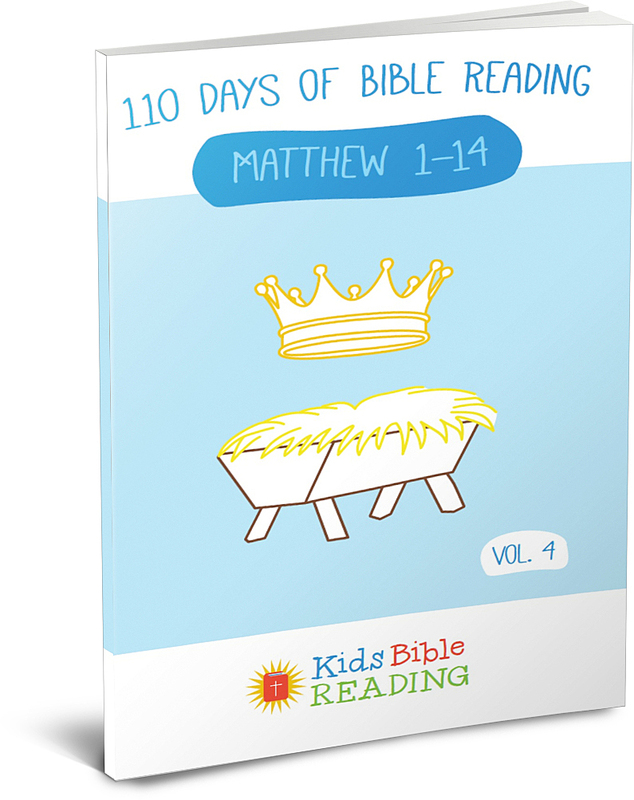 The focus of the first five volumes is on covering the biblical narratives, although we do skip a few stories here and there that may be especially difficult for younger children. They can be read and studied when the children are older and better able to profit from them. May God bless these plans so that it may be said of all our children: “From childhood you have known the Holy Scriptures, which are able to make you wise for salvation through faith which is in Christ Jesus” (2 Tim. 3:15). A website will soon be up and running with hints and tips on how to help your children read the Bible, and also an opportunity to bulk order at lower prices for churches and schools. In the meantime, here’s the Amazon link. Thank you to my assistant, Sarah Perez, for all her work on these books. Big thanks, as usual, to Cameron Morgan for his work on the covers, and thanks to Esther Engelsma for proofing. What are the recommended ages for these books? David, I’ve used them with kids from 7-14, but you can download the sample pages and judge for yourself. Thanks, Ben. It’s coming – just a bit behind schedule. The notes on John for children’s devotions? I remember pulling hem off your website before. Are those available somewhere? i am going to get two of your books for my children. i am hoping that they will help me to instill a daily habit of personal Bible time in them. they look very do-able! thank you for this resource. i did notice that in the Amazon preview, you don’t actually see any pages of the book, just the front, back and the letter to mom and dad – no content. they need to fix that. i am buying the book because i was able to see the pages on this website. Thanks for this, unfortunately I have no control over what Amazon puts up. We are at their mercy. God bless your children as they study the Word. Thank you for providing this resource. I have been reading through book one and found it helpful. I think I have found a reference typo, and was wanting the correct biblical reference. Week six has an extra question which directs the reader to Matthew 24:47. Do you mean Matthew 24:37? I may only be misunderstanding the connection. Hi. 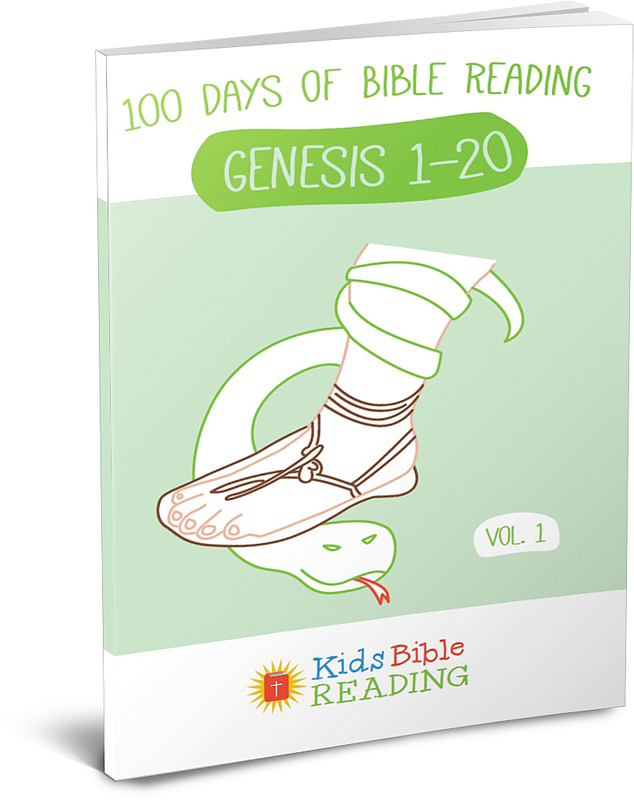 Do you think this resource can be used for family devotions. We have a 3 1/2 year old son who already knows many of the Bible Stories. We have used the Children’s Bible by Anne de Vries to read through many of the Bible stories with him in our family devotions. More recently we have read some other parts of the Bible with him from our family Bible (New King Jame’s version) such the book of Ephesians and some of the Psalms which are not in the Story Bible. I am sure that in the next year he will out grow his story Bible. Do you think we could make use of your reading plan and discuss the questions with him in our family devotions? I don’t think so Pierre because the child needs to be able to write simple sentences and copy out verses. Are there any plans in the works for more of these books? Would love to have the whole Bible series for my child. We are very excited about this program! Yes, Nicki. Crossway will be bringing out an exciting version of this in the Fall of 2017.